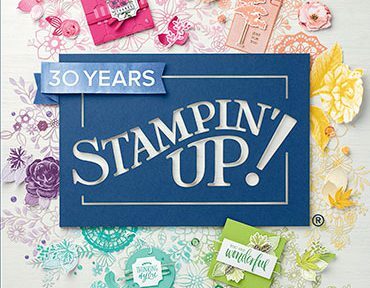 Welcome to this fun Blog Hop where we will show you some of our favourite news sets from the Stampin’ Up! Annual Catalogue 2018/2019. The Joy of Sets is a Facebook Group for fans for stamping. My cards use the beautiful Dandelion Wishes and En Route stamp sets. For the first card I used our Thick White Cardstock and coloured it using three of my favourite inks, Melon Mango, Mango Melody and Bermuda Bay to create a background for the dandelions which I heat embossed in copper. And for my second card, I used the large dandelion stamp to create a background for this great sentiment from the En Route set. And I am so happy that brads are back this year !! Remember and check out all the other stops of this Blog Hop by using the buttons. Tagged Dandelion Wishes, En Route, Metallic Brads, Stampin' Up! Lovely cards and I’m a brad lover too! Alison your cards are lovely – I particularly like that first one and those gorgeous rich colours – the dandelions are my favourites and they look so good when embossed. I’m glad brads are back though I must admit in my world they never went away lol! Thanks for being a part of JOS and joining in with the hop. Your cards are awesome, I hadn’t even noticed the sentiment in the Dandelion Set until I saw it on your card! I think I need this set now! Love your cards, Andrea! I’m thankful that brads are back too! Such a pkeasure to be hopping with you today! Two really great cards that show just how versatile this set is – thank you! Love your cards, Alison! I’m thankful that brads are back too! Such a pleasure to be hopping with you today! WOW – to great uses for this lovely stamp set, TFS.